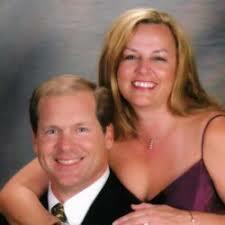 Describe in detail your experience with Julie & Mark Helms minimum 10 words, maximum 200 words. Julie spent 3 days and drove what must have been 200 miles with us in our pursuit of a vacation home. She was extremely patient and knowledgeable, even though we were giving mixed messages about our needs and wants. She gave us invaluable advice when we made contact with a couple of prospects, and when we found the home that my wife and I decided was perfect, she helped negotiate the price we could afford. For that we will be forever grateful. Julie is what I would call a "keeper" and frankly We would nominate her as employee of the year. Julie Helm's, she is the most effective Realtor that we ever encountered, she worked with us while still living in the East Coast, she is very patient, very kind she does not give up easy, on helping people with the desired home. We recommend her 100%. We were very happy working with Mark and Julie when purchasing our new home. They listened to what we were looking for and worked very hard to find the right house for us. We highly recommend them for anyone looking to purchase or sell a home in the Valley. So easy to work with goes way beyond what we even expected. Julie Helms is an absolutely amazing realtor. She went above and beyond for our family. it was always clear that Julie worked for us and fought for us to get the best deal possible. When things got tough on finding the right home for us, she never gave up on and it is thanks to her hard work and dedication that we are homeowners today. I do definitely recommend her to anyone that is looking for an honest, hardworking, and successful realtor! She was so wonderful through the whole home buying process. She always went to bat for us when it came to putting in offers and communicating with the mortgage company. Julie was fantastic to work with. We dealt with her over the phone and through emails from Ohio, when we bought our house. She took multiple pictures of each room or area in the house. We ended up buying this house, without actually coming to Arizona. She made everything so easy. I signed papers through DocuSign. She had a notary come to our house for the final signatures. We even obtained our financing, through a recommendation that she made. I would absolutely steer anyone looking to purchase a home in her direction. I felt like I knew her personally, without ever having actually met her, before moving to Goodyear. 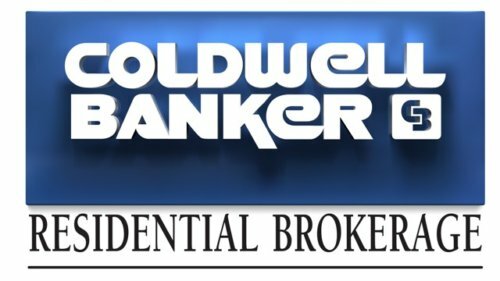 For a first-time seller/ buyer, it was very important to me to have someone experienced and someone I could trust to sell my house and find a new house in the short time the bank gave me. From our first initial meeting Julie’s knowledge about real estate showed and I felt very confident in trusting her. I know she spent many hours and at odd hours because of time variances negotiating with the bank on my behalf for the bank to accept the buyers offer. Because of her efforts, my house sold and I was able to move into my new house within 2 months. Julie is the best real estate agent. She is very knowledgeable, hardworking, organized and understands customer needs. Above all she does not push the customer to just close the deal...and always makes recommendations in the best interest of the customer!!! Julie is a very good listener who cares about her clients and listens to their problems giving them sound advice in case they need it. She was helpful in navigating me through the buying process and provided me with much needed information. I highly recommend her services.